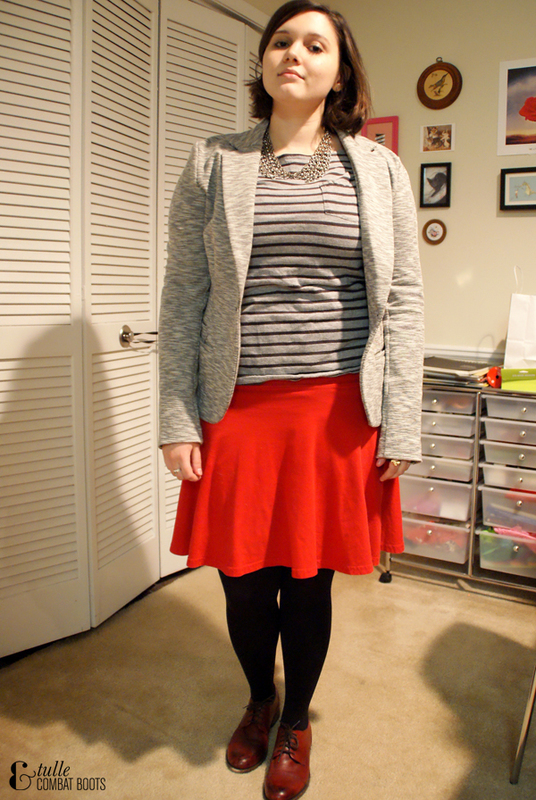 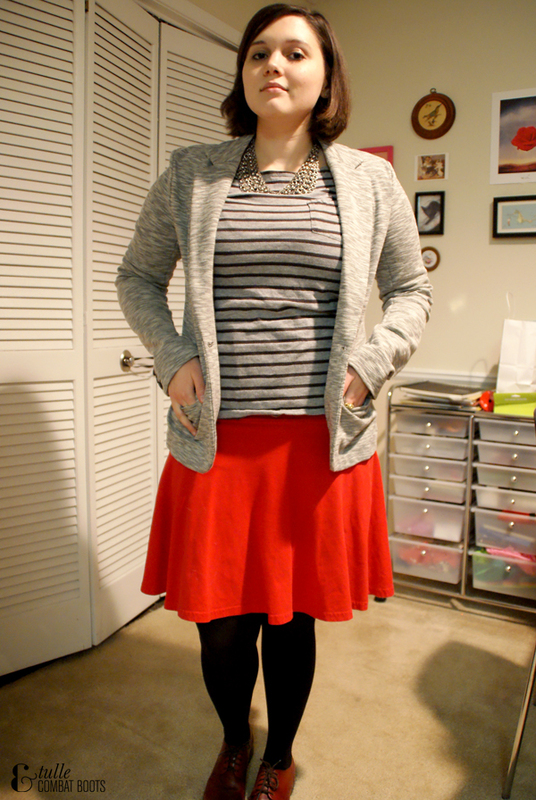 Tulle & Combat Boots: reds + grays. 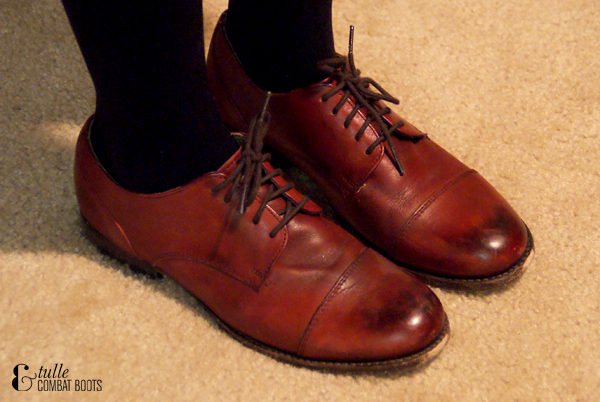 I don't wear these oxfords nearly enough, but the holidays are the perfect time to break them out since they're such a nice red. 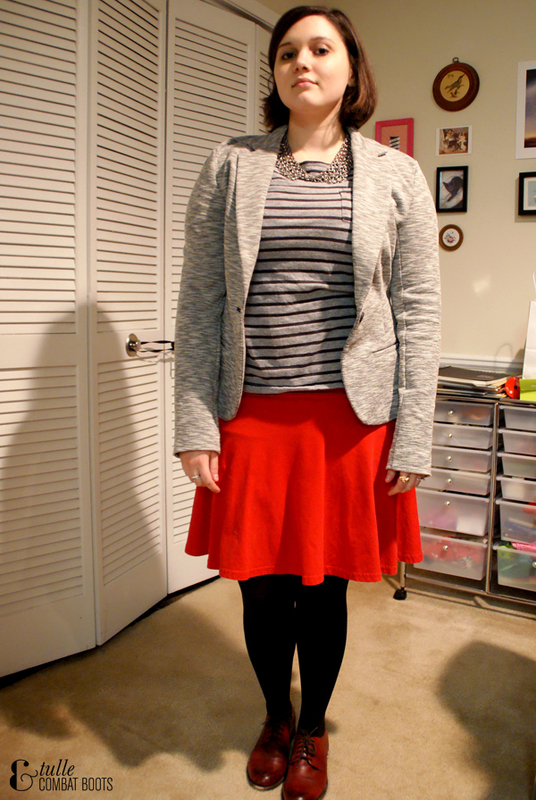 It's also nice to see my co-workers start dressing festively when it gets close to the holidays—lots of reds and sweaters. Do you guys notice that?